Israeli police shut access to the Al-Aqsa mosque in Jerusalem to Muslim worshipers for several hours due to continued clashes in the city. It was the second incident in less than a week, triggering an angry outcry from Palestinians. The holy site has been a focus of tension since last week, when Israel closed it to Muslim worshipers. 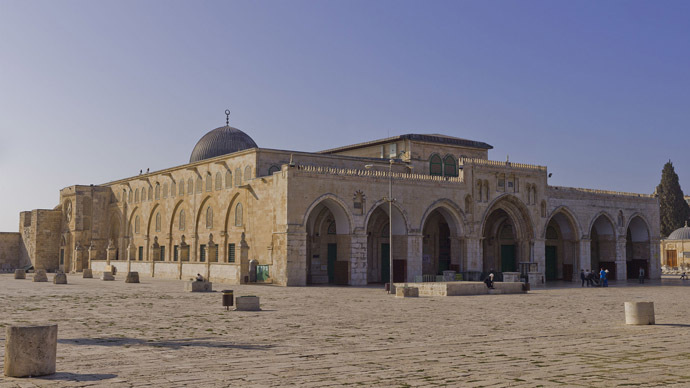 Al-Aqsa, also known as the Temple Mount, is Islam’s third most-venerated site. Israeli police closed it for the first time since 1963 in retaliation for the killing of a prominent right-wing Jewish activist, provoking outcry from the Arab population. Access was renewed a day later, but males under 50 were still banned from entry. The renewed shutdown of Al-Aqsa on Wednesday comes after daily clashes in the streets of East Jerusalem and the Old City. Palestinian youths attack Israeli police with stones and fire crackers. Police said they sent forces to the holy compound, known to Jews as the Temple Mount and Muslims as the Noble Sanctuary, as clashes erupted near it minutes before it was due to be opened to the public. 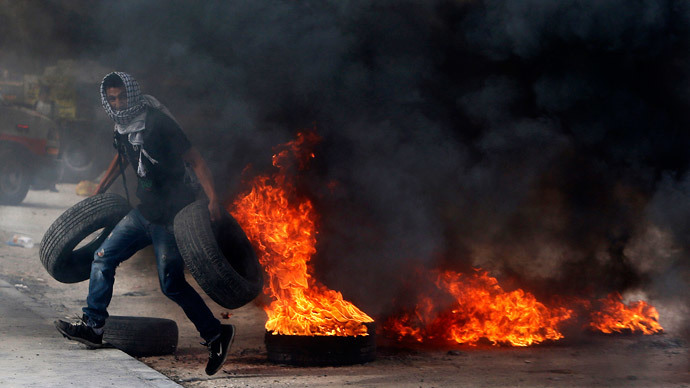 "Police entered the area, pushed the masked rioters back, and they fled back into Al-Aqsa. Police closed the front gate of the mosque but did not enter," said police spokesman Micky Rosenfeld as cited by Reuters. Israeli security forces used stun grenades to disperse the protesting crowd. Some 20 people were reportedly injured in the fresh clash. Following the latest escalation of tension the Jordanian government recalled its ambassador to Israel. 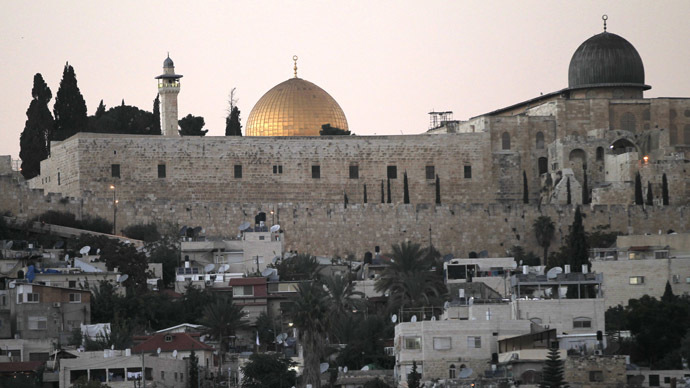 Jordan has a special stake in Al-Aqsa, since it handles all matters concerning the holy site except security. The arrangement was brokered shortly after Israel occupied entire Jerusalem in 1967 and is part of Jordan’s peace treaty with Israel signed in 1994. The decision was taken "in protest at the increasing and unprecedented Israeli escalation in the Noble Sanctuary, and the repeated Israeli violations of Jerusalem", the Jordanian state news agency reported. Mohammad Al-Momani, a spokesman for the Jordanian government, said the country would lodge a formal complaint against Israeli actions in Jerusalem with the UN Security Council. The restriction of access to Al-Aqsa is making Jordan increasingly irritated. Last week it already called for an emergency session of the UN Security Council to discuss the situation in Jerusalem in the wake of the killing of a prominent Jewish right-wing activist, Yehuda Glick, whose shooting triggered Israel’s security response. Relations between Jordan and Israel are already strained, with King Abdullah of Jordan - who traces his lineage to the Prophet Mohammed and is personally the custodian of Al-Aqsa - shocking Israelis last month by equating “Zionist extremism” with “Islamic extremism” of the Iraqi-Syrian militant group Islamic State. Israeli police killed Mutaz Hijazi, the young Palestinian man they believe responsible for the killing of Glick, in a raid to detain him on Friday. Israel’s control of access to Al-Aqsa has been a sore point in relations between Jews and Palestinians for decades. The Second Intifada, a wave of armed Palestinian resistance to Israeli occupation, was triggered by a September 2000 visit to the mosque by right-wing politician Ariel Sharon, who at the time was campaigning for the Israeli prime ministership.